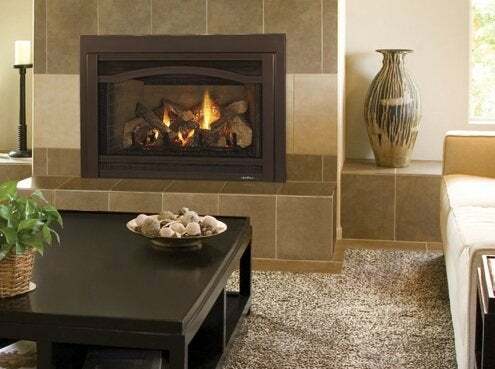 Fireplace inserts are a great way to update an existing masonry fireplace. A traditional open-front wood-burning fireplace usually has an efficiency rating of just 5-10%, according to the Hearth, Patio & Barbecue Association. 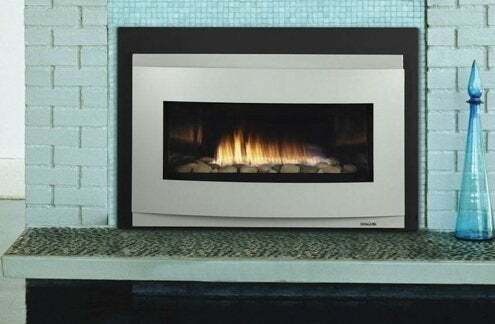 A new fireplace insert constructed of durable steel or cast iron utilizes an insulated closed-combustion system that increases heat output and promotes efficiency. 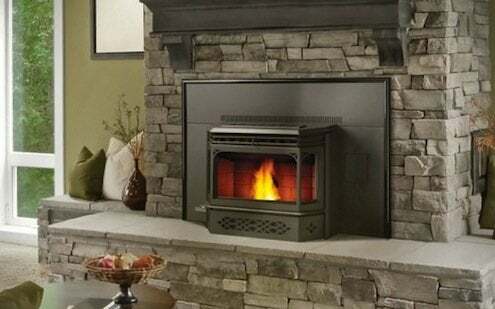 To be a candidate for a fireplace insert, you must have an existing masonry or factory-built fireplace with a working chimney, and you’ll select the insert’s size based on the existing opening. The type of venting required by a new insert varies. Natural venting through the existing chimney is possible; direct vent and vent-free options are options as well, depending on your fuel choice. The cost and availability of fuel in your area, the overall maintenance required, and the desired look are all factors to consider when choosing an insert. Wood, gas (natural or propane), and pellets are the most common fuel sources for fireplace inserts. When searching out a wood-burning insert, look for an EPA-certified appliance to help protect the environment and your indoor air quality. Made of heavy gauge steel, Lennox’s rustic Montlake 230 insert features an airwash system to keep the taller-than-usual glass panel clean and clear. An optional 150 CFM blower with multiple speed options makes it easy to quickly heat spaces ranging from 1,200 to 2,200 square feet. The Montlake vents through a 6″ pipe and comes in black, brushed nickel, or nickel trim options. The Cosmo gas insert by Heat & Glo fits well in modern interiors and comes in two sizes, 30” and 35”, depending on your existing opening. The reflective black glass interior and linear flame contribute to its sleek appearance. Direct venting ensures combustion exhaust and fumes are fully removed from your home’s interior, and a smart intermittent pilot ignition system adds an extra level of safety and energy savings. Thanks to its use of recycled sawdust pellets as fuel, Napoleon’s NPI45 Pellet Insert heats things up in an environmentally friendly way. 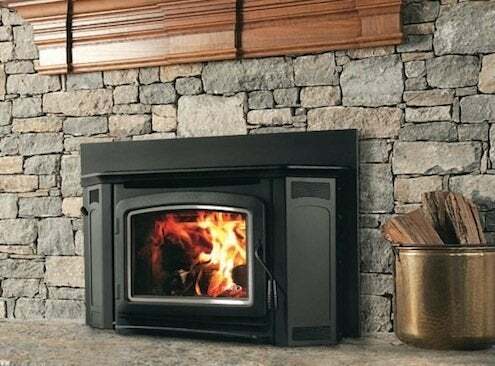 With a 120 CFM convection blower, auto igniter, and airwash system to keep the glass crystal clear, this unit offers the efficiency of a pellet stove housed in a recessed fireplace opening. The hopper holds a whopping 45 pounds of pellets, making refueling unnecessary for 45 hours of burn time. And if you’re worried you’ll miss the traditional look of logs on a fire, an optional decorative ceramic log set is available.